The latest Lost Tales of Greece episode is available for Assassin’s Creed Odyssey and New Game Plus has been confirmed for later this month. 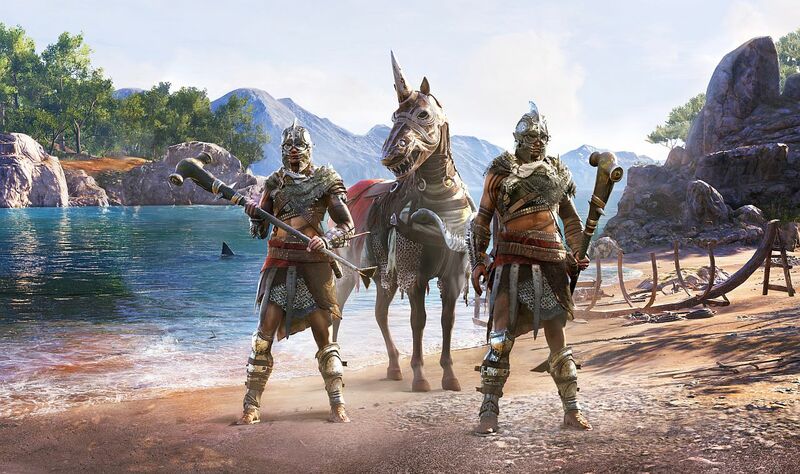 A Brother’s Seduction is the latest free content update for Assassin’s Creed Odyssey and it’s available now. Part of the Lost Tales of Greece episodic content for the title, this episode finds you coming upon a “waylaid poet” who will lead you to the Port of Kechries. Here, you must help two brothers whose father recently passed. Unfortunately, both brothers will become smitten with you, and compete for your affections. You will have to try and mediate this family drama. Good luck. 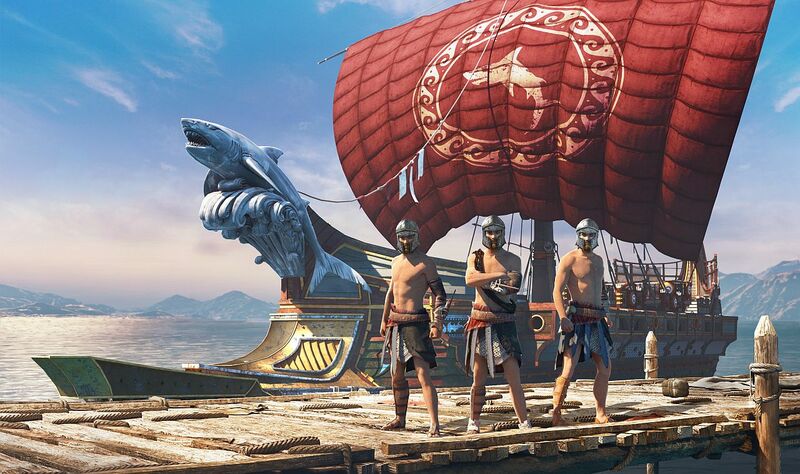 In order to participate in A Brother’s Seduction, you will need to have completed chapter 5 in Assassin’s Creed Odyssey. This is the case with all Lost Takes of Greece episodes. Later this month, title update 1.1.4 will be released, and includes new game plus mode. 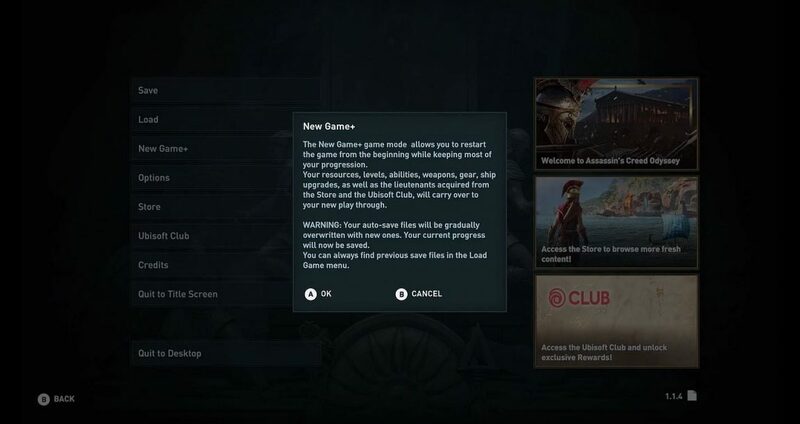 The feature will allow you to start a new game while keeping all gear, upgrades, abilities, drachmae, mounts, and everything else you’ve gathered. The title update also includes a level cap increase to 99, adding three additional Engraving tiers. An additional set of 22 Fast Travel points will also be added to the game. Ubisoft said many will be situated near ports for easier access. 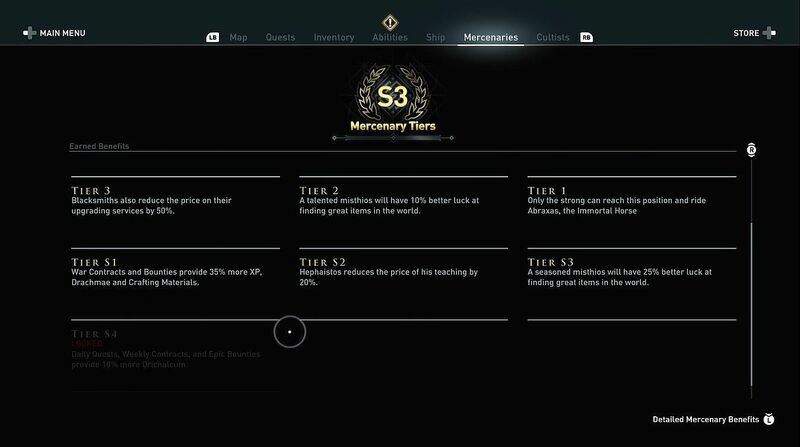 Two additional tiers will be added to the Mercenary Ladder – new loot, rewards, 10% more Orichalcum, higher drop rate of epic gear. 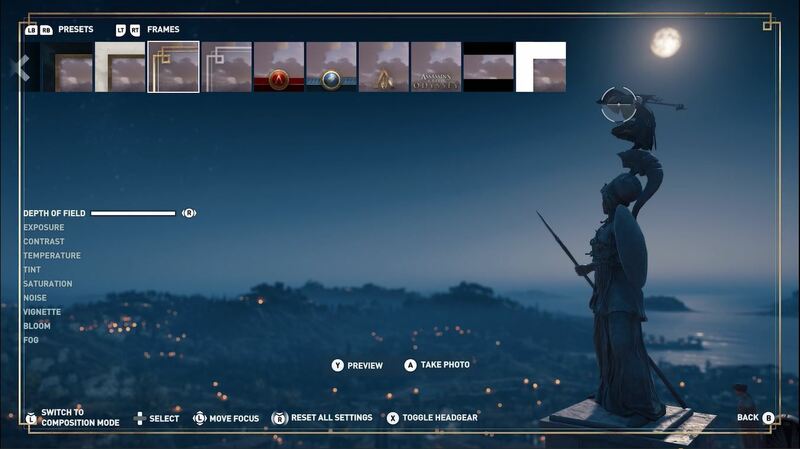 A total of 10 frames including: Athenian Theme, a Spartan Theme, the Assassin’s Creed Odyssey logo and crest, and more. You will be able to alter the background behind dialogue to semi-transparent black with three options, and the ability to change the subtitle size. 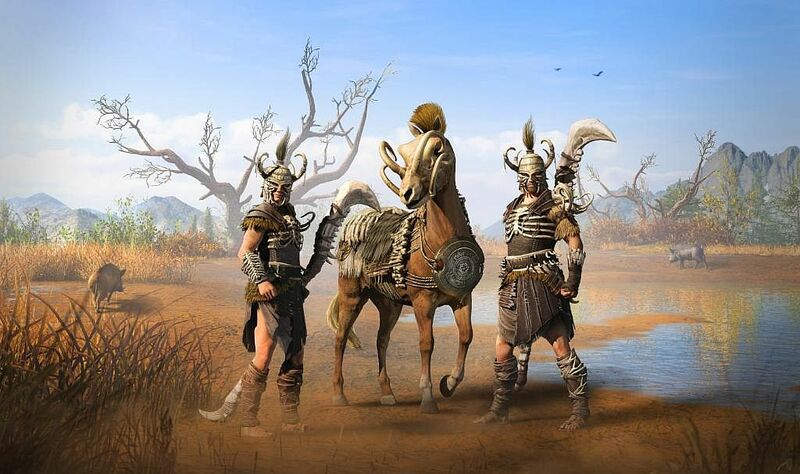 Wild Boar Pack – contains the Wild Boar gear set, a new mount, and a new legendary weapon. 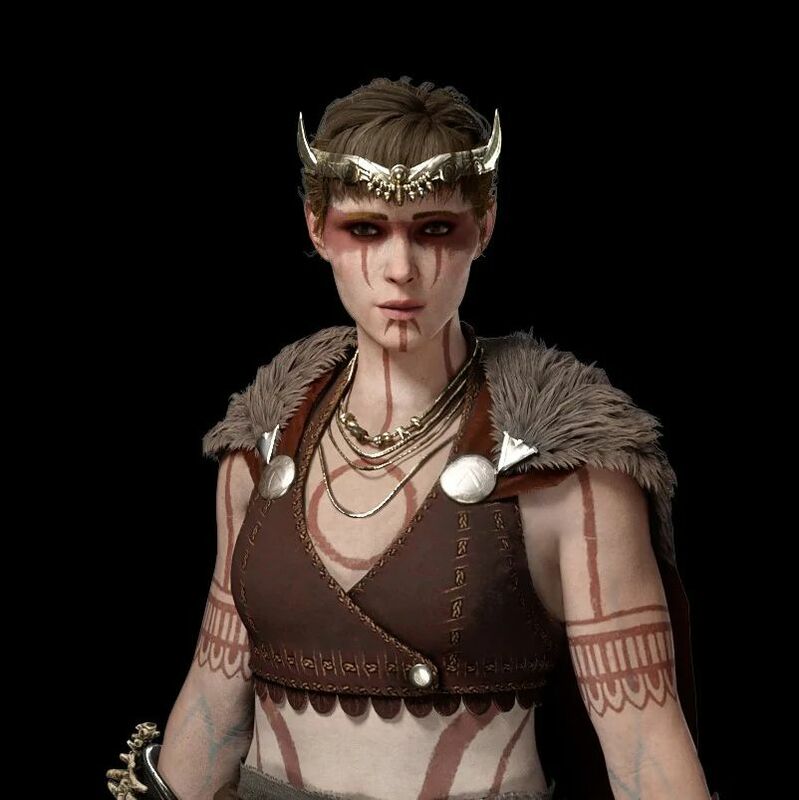 Artemis – A Legendary Lieutenant skin for the Adrestia. Shark Character Pack – Contains the Shark gear set, a new mount, and a new legendary weapon. Also includes the Teethers crew theme, figurehead, and a new ship design. Also called the Sea Hunter Pack. More details on what to expect during February can be found in the developer video.